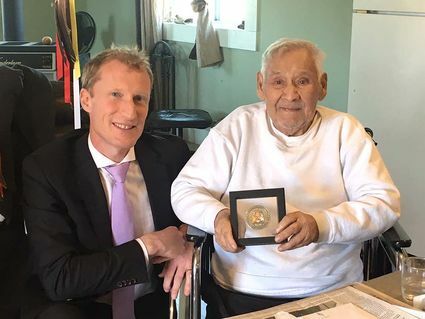 Last week, Canadian Politician and Quebec Liberal MP Marc Miller, the first Canadian politician to speak Mohawk in the Canadian House of Parliament, stopped at the home of the last living Mohawk code talker Levi Oakes to present him with a medal to honor his service as a code talker. He also read Oakes a letter of thanks in the Mohawk language. Miller was traveling to speak with tribal representatives about cannabis and wished to pay Oakes the visit. Miller is from the Montreal community and works in the House of Commons serving Montreal and the surrounding areas. 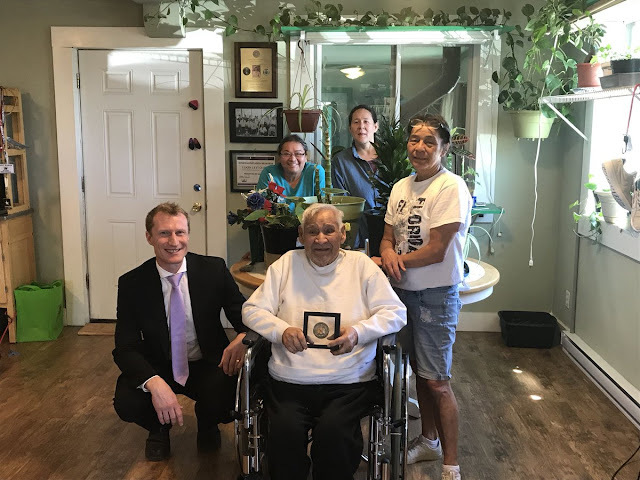 When at the home of Oakes, Miller presented the code talker with a symbolic medal to recognize his efforts. Miller also read a letter in the Mohawk language. 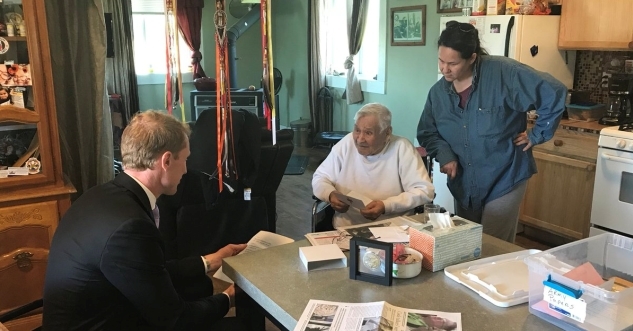 “Even before entering politics I have always been fascinated with languages, learning Swedish as an adult, but there is such richness to Mohawk and it is very difficult to learn,” he said. During the meeting, Oakes surprised everyone in the room and revealed he had recently received an official letter from the U. S. Department of Defense stating he was free to share what actually happened in WWII. “Before that, no one, including his family, had any idea the role he had during the war,” said the Indian Times. When Miller finished reading his letter, Oakes responded in Mohawk with Tsi nika’shátste, meaning “It is so strong,” a reference to the strength of the Mohawk language. Responses to "Canadian politician speaks Mohawk to last living Mohawk code talker Levi Oakes"